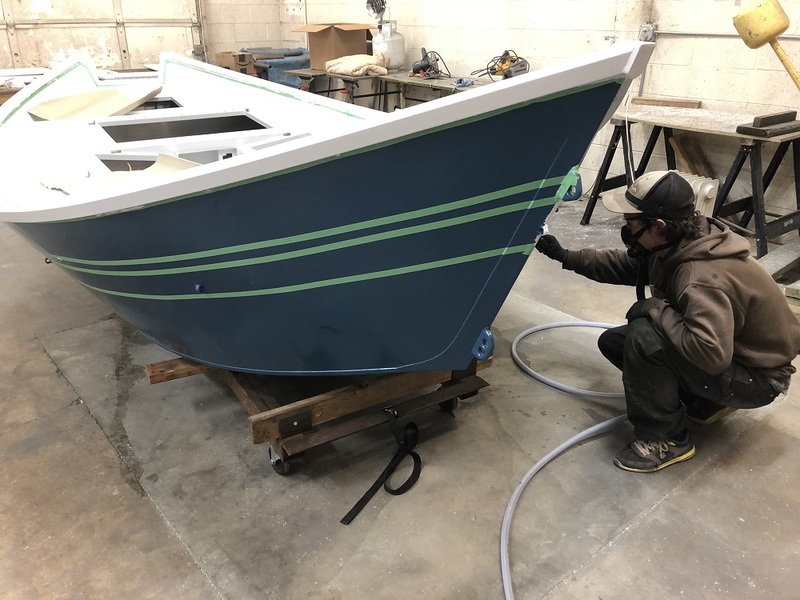 After a busy & snowy January/February, we were finally able to get to the finishing details on our new dory. 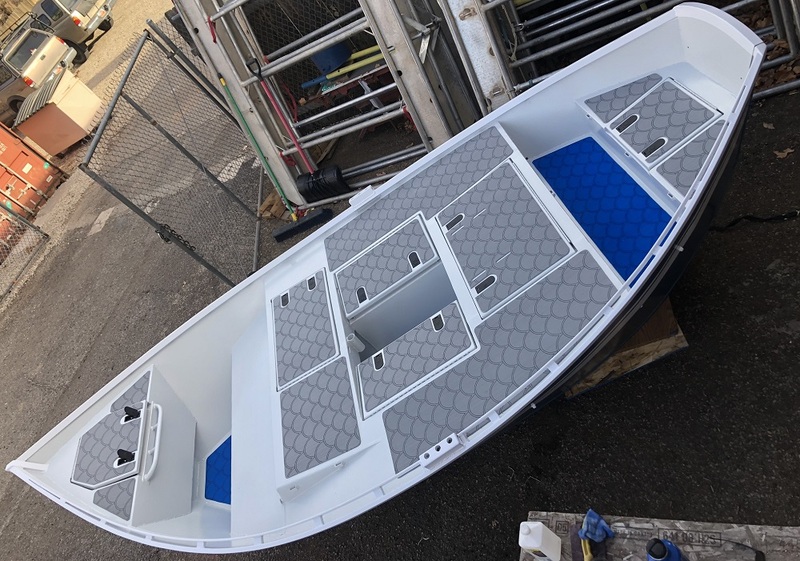 Peter Lefebvre gets a lot of the credit for this boat coming out looking so good. We used the Benjamin Moore Corotech paint series. For colors we chose slate teal for the sides, stone white for stripes & gunwales, & cliffside gray for the deck. 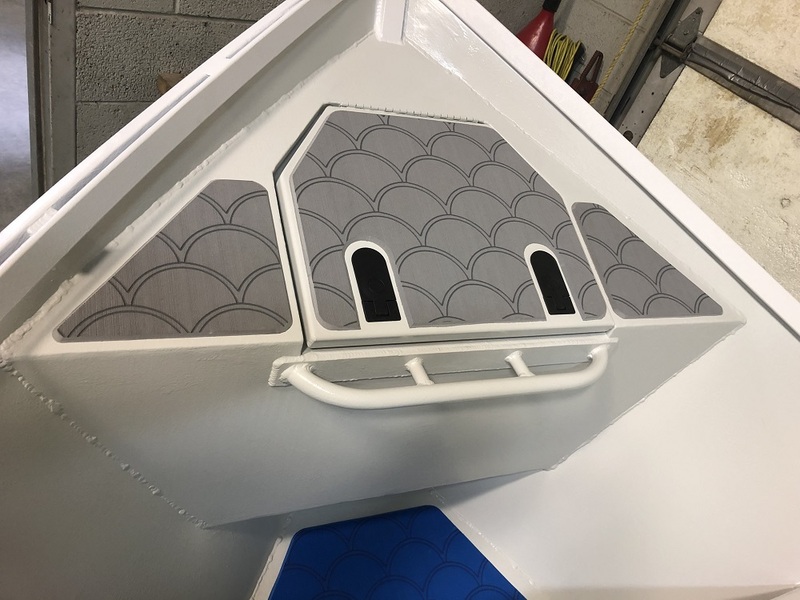 After the paint had time to cure, we re-installed the hatches and latches, fitted in the gasket, and added the SeaDek. Next was the electronics: installing the bilge pump, putting the battery in, and wiring up the switch. Check out the little cubby we made to keep the switch drier. It’s also a nice place to stash a sponge or a can of your favorite beverage. Finally, we added a grab line, few cords to hold the oars, and headed off to the river. She’s a nice ride!